Three flights were successfully flown on January 16th after being delayed a day for unfavorable weather conditions. Aurora X5 booster “Firefly” marked the first flight of the year for us on mission AU-10, it’s maiden flight. Lifting off on an Aerotech E-18, Firefly climbed to an estimated 1100 feet. 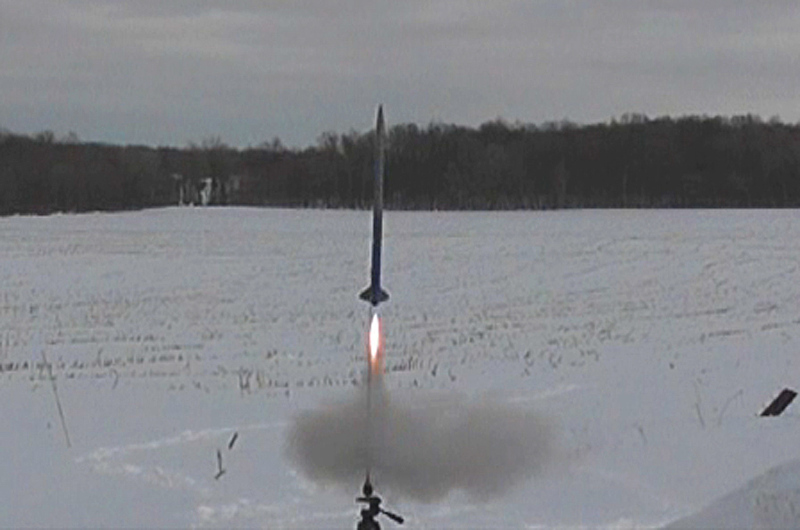 It’s anti-zippering technology was put to the test during a ballistic re-entry, and successful parachute deployment. 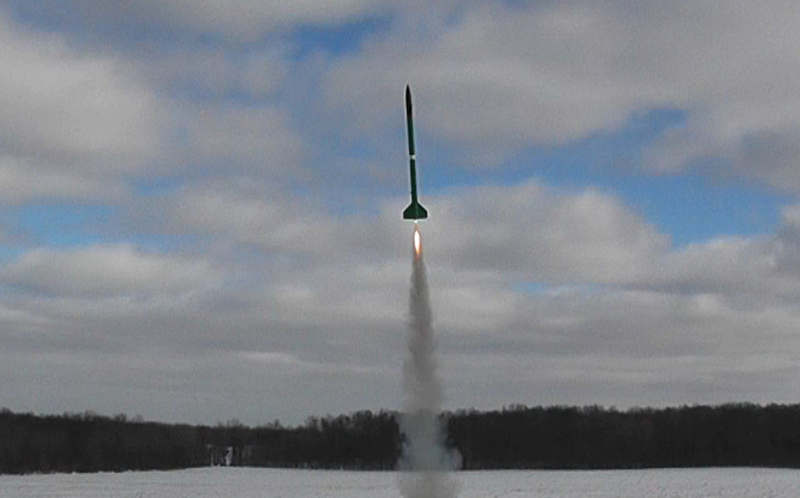 It’s second flight mission, AU-11, was launched on an Aerotech F-24. Max altitude was around 1400 feet, and again, a too-long ejection charge brought it in steep for a rough parachute deployment, for which the anti-zippering tech performed flawlessly. 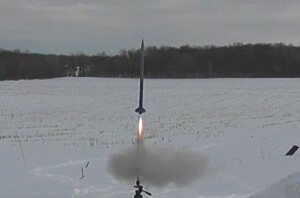 The link above is the video from the maiden launch. Perseus booster “Eagle” flew one flight to test its modifications to retrofit it with similar anti-zippering tech. I decided to also go for the high performance / high altitude mission originally planned for Columbia at this time as well. Eagle pulled off both objectives flawlessly. Eagle reached close to the 2,000 foot altitude goal, coming in at 1800 feet. To make this altitude, I did not fly the on-board camera on Eagle to make her as light as possible. Mission PLS-30 was a total success. If all goes well (weather, schedules, etc. ), our next launch should be on February 12th. The plan is to use Aurora X5 Firefly to perform a (dry) test run of our dual deployment electronics. More on that as we get closer.